All over the world in the guise of religious rituals or customs many evil practices are carried out & unfortunately women & young children are the prey of these malpractices. I am writing in this article about some of the uncommon but but very severely ill customs which were & are practiced in some parts of the world. CAPACOCHA is a religious ritual followed by Inca's some 500-600 years ago. In Capacocha health children were sacrificed . The Inca's used to believe that the children do not die but they join their ancestors & look after the village from mountain tops like angels. According to the Inca's the child chosen for the sacrifice was the blessed one & only the beautiful & healthy child was sacrificed. Parents themselves offer their child for Capacocha. Before the sacrifice the child was made to walk hundreds of miles & than asked to drink CHICHA -a maize beer . 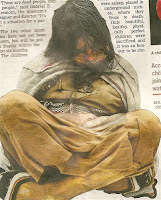 When the child falls asleep & was in deep sleep , he or she was placed in underground niches where they froze to death. In recent past bodies of 3 Inca children were entombed from the 22 , 000 feet summit of Mount Lillaillaco , a volcano near the Chilean border. The children entombed were victim of Capacocha. The mummies ( the 3 Inca children ) are believed to be some 500 years old & are considered as the World's best preserved mummies because internal organs are intact & blood is still in lungs , heart & skin. There are many tombs of Inca children which have not been entombed yet. In India Devdasi , Sati are some of the common evil rituals which have been abolished but NARMUNDO KHELA or THE SKULL GAME is one which is still in practice in Bengal . 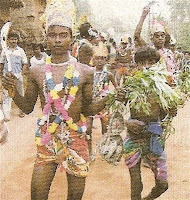 The villagers of Sona Palasi on Poila Baiskh ( First day of the first month of the new year ) dance on the beats of drums carrying along with them unearthed human skulls & corpse of human babies. The villagers believe that Lord Shiva will be pleased with them for this. Although the villagers say they have dug the earth for the dead bodies but the social workers & the police suspect that the villagers kill babies for the corpse . According to my Journalist friend who has witnessed the Nurmundo Khela in Sona Palasi the whole event is very scary . In China a custom of " foot binding of girls " was followed for some 1000 years . Although in the 20th century it was ceased due to westernization. However in remote areas of China this custom is still carried out. In China by the time the girl was 3 years old her toes were first broken & her feet were bound tightly with cloth strips to prevent the feet to grow larger than 10 cms due to this extremely painful practice the souls of feet bend in extreme concavity . The feet so formed had all together different shape & are called as LOTUS FEET .In China this custom was compulsory .Girls who did not have Lotus Feet did not get married easily.Lotus Feet were considered as a part of women's beauty by men but in reality the girl had become handicap as she was unable to walk & dance properly.Women who had Lotus feet have to wear specially designed shoes to walk . There were factories in China who used to design shoes for Lotus feet . Today there are very few shoes factories which manufacture foot wear for lotus feet because only few elderly Chinese women have Lotus feet. The Karen women are world famous for their LONG NECKS , Like Lotus feet , long necks are also considered important & compulsory as they thought to enhance women's beauty . Karen's are tribal people found in Burma & Thailand . By religion majority of them are Buddhist . 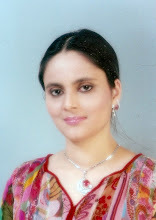 Among Karen's there is a custom of wearing 25-30 Brass rings around the neck. When the girls are around 5 , Brass rings are put around their necks & than they have to wear it through out their lives. The total weight of the Brass rings varies from 1-2 Kgs . Karen women have to bear the load of the rings 24 hours of a day. Unlike other women, Karen women hate their neck ornaments but since it is an important custom , Karen women have to follow it. 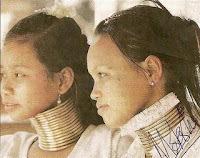 Though it seems that Karen women have long necks in reality their neck bones break because of the load of the brass rings. Isn't an evil custom practiced by Karens ? Well the Chinese girls are lucky as the foot binding custom has been abolished , however the Karen girls have to still wait for the day when they can enjoy the life without the Brass rings around their neck. Unfortunately in world there are many more evil customs & religious rituals are carried out . However we can only get rid from these mal practices if we all join hands together to remove the darkness of ignorance & illiteracy from earth.